Style Find! 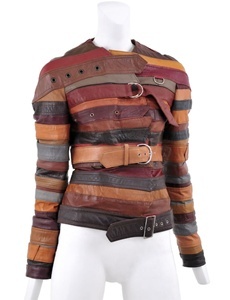 Check out this awesome Vintage Belt-Assembled Jacket, courtesy of Belgian fashion designer, Martin Margiela. Hm. Since the piece is already busy with straps, belts and buckles, it’s comforting that the multi-colors consist of warm earthy tones rather than bright blinding colors. I'd wear it!